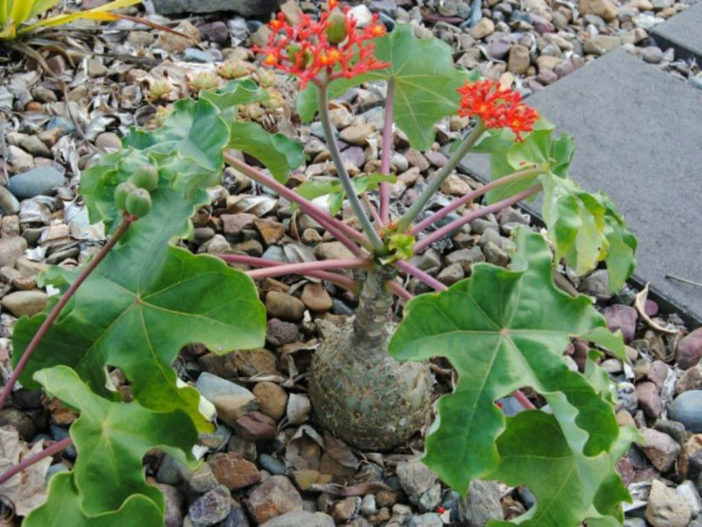 Jatropha podagrica is a tropical, frost-sensitive, succulent shrub up to 8 feet (2.4 m) tall. 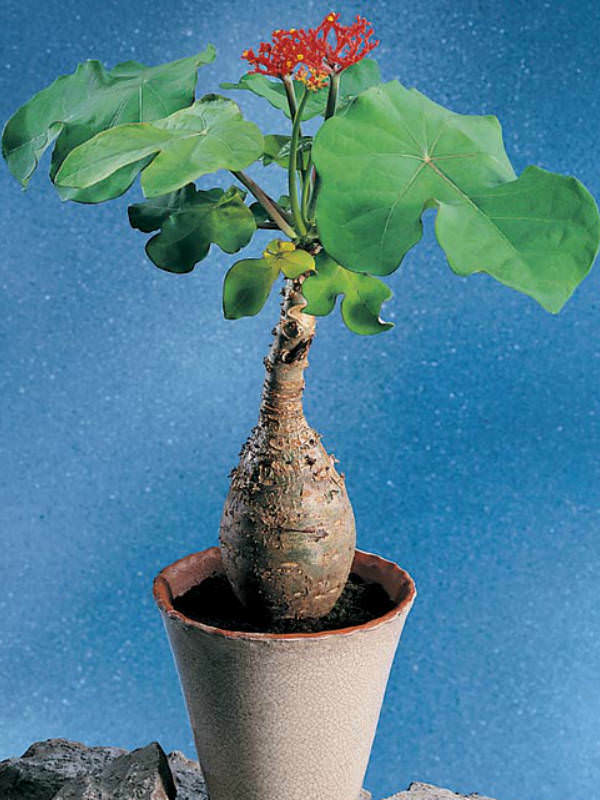 It has a swollen and knobby, grey-skinned stem (large bottle-like caudex) and green, smooth, waxy leaves up 12 inches (30 cm) in diameter. 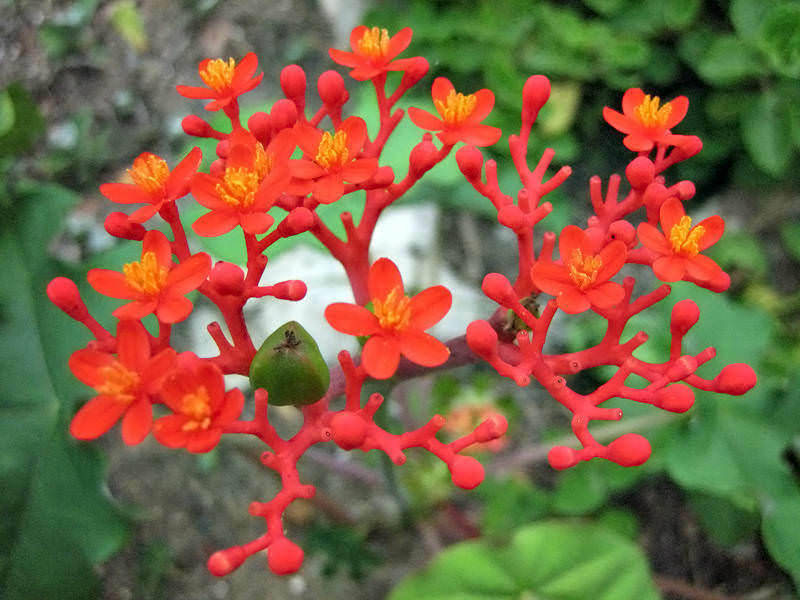 The flowers are small, coral-like and bright red in color. USDA hardiness zone 10a to 11b: from 30 °F (−1.1 °C) to 45 °F (+7.2 °C). 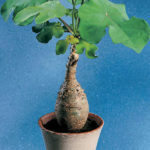 The key to growing successful Jatropha is to achieve the proper balance between moisture and drainage. 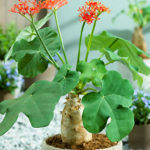 They typically appreciate a steady supply of water, but the most popular species cannot tolerate being submerged or soaked and will quickly succumb to root rot. 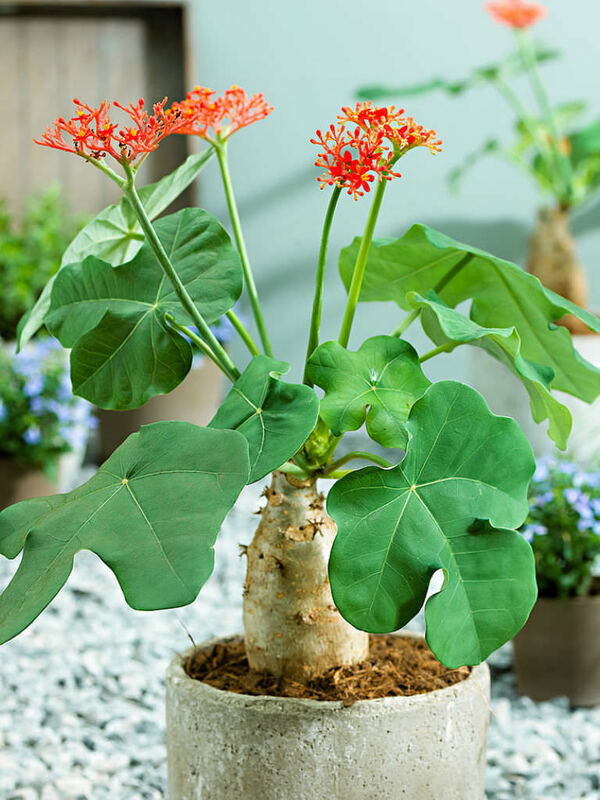 Many of the popular Jatropha species make excellent small trees for a conservatory or sunny corner. Keep them well pruned so they don’t outgrow their space too soon. 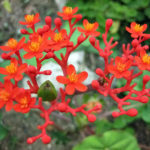 Jatropha are vulnerable to pests including aphids, mealy bugs, scale, and white fly. If possible, identify the infestation as early as possible and treat with the leave toxic option. Jatropha podagrica is native to Mexico (Chiapas, Oaxaca, Veracruz), Guatemala, Honduras and Nicaragua.